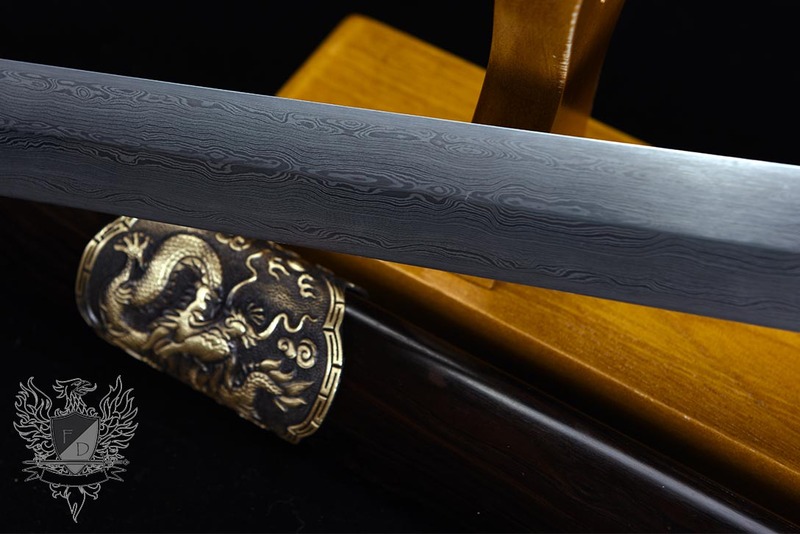 With a 10.5" grip and 30" blade and weighing just 2.86lbs, this lightweight Jian is extremely fast, agile and beautiful. 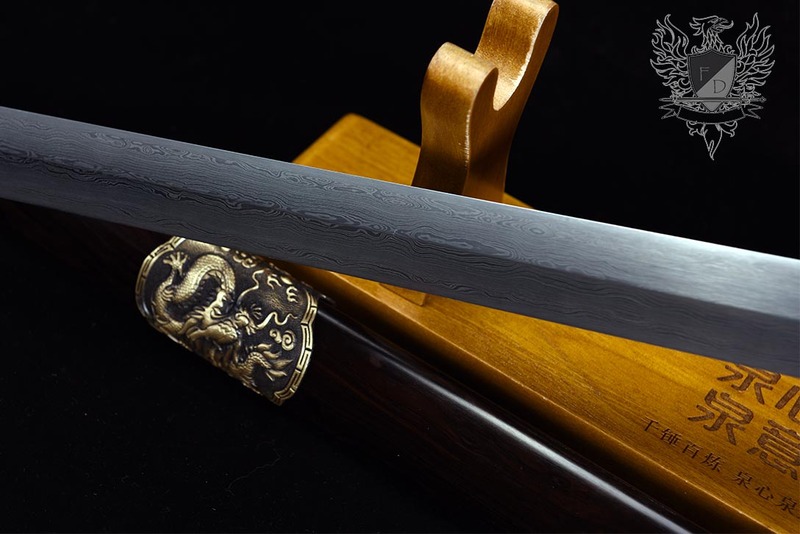 The blade itself is master smith folded 1095 carbon steel and the grip is long enough to be used in a hand and a half style for extra power if so desired - and also brings the balance further back towards the pommel, giving it a truly 'floating' feel. 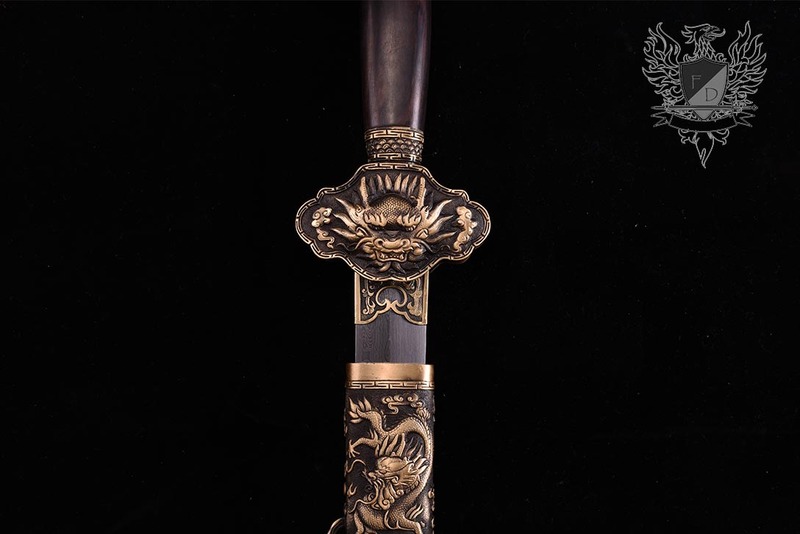 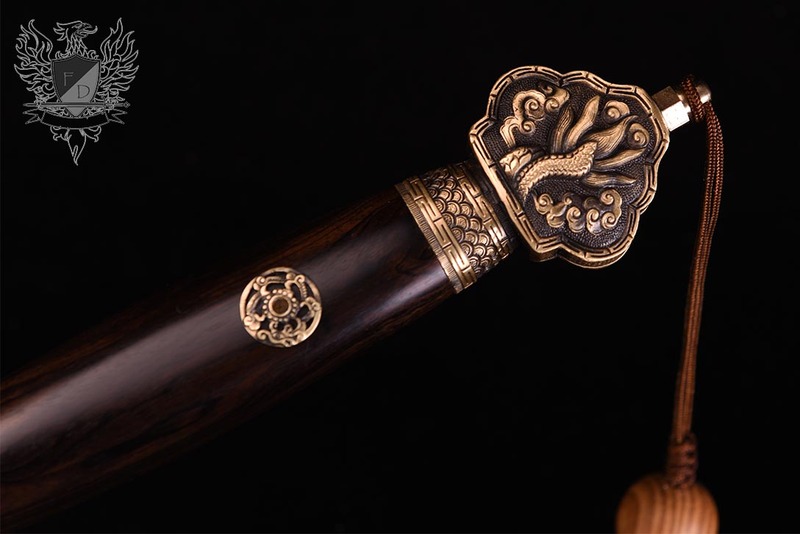 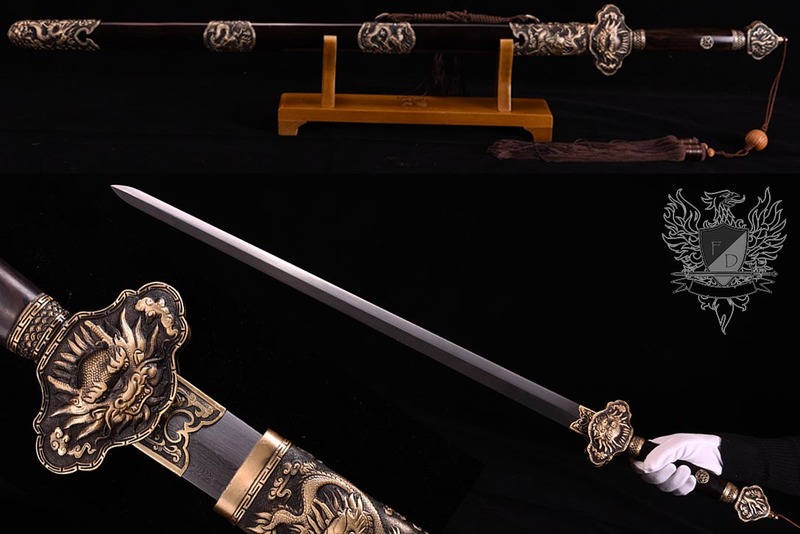 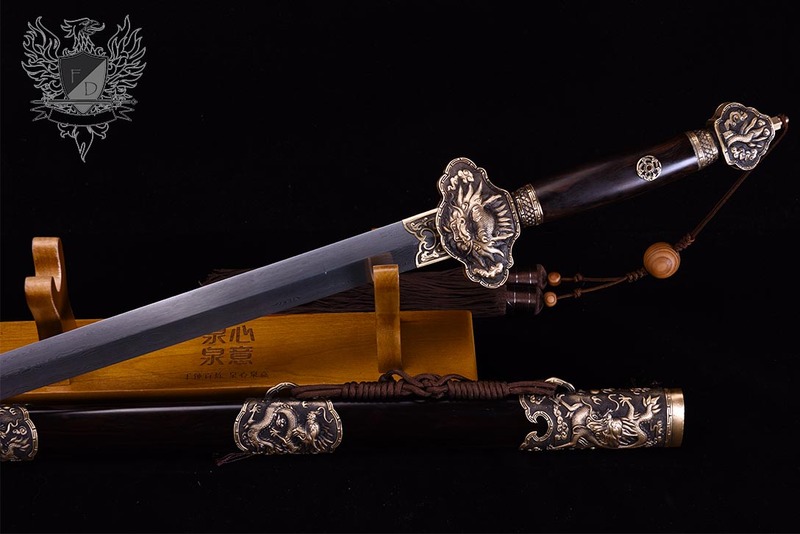 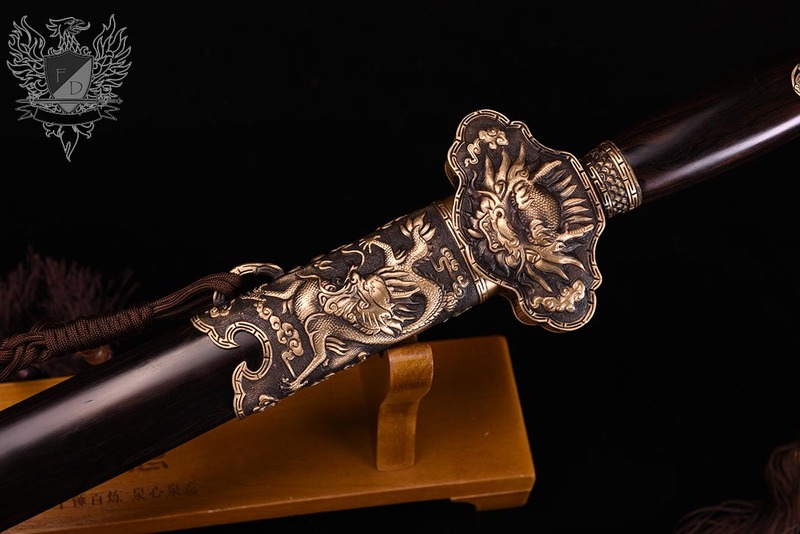 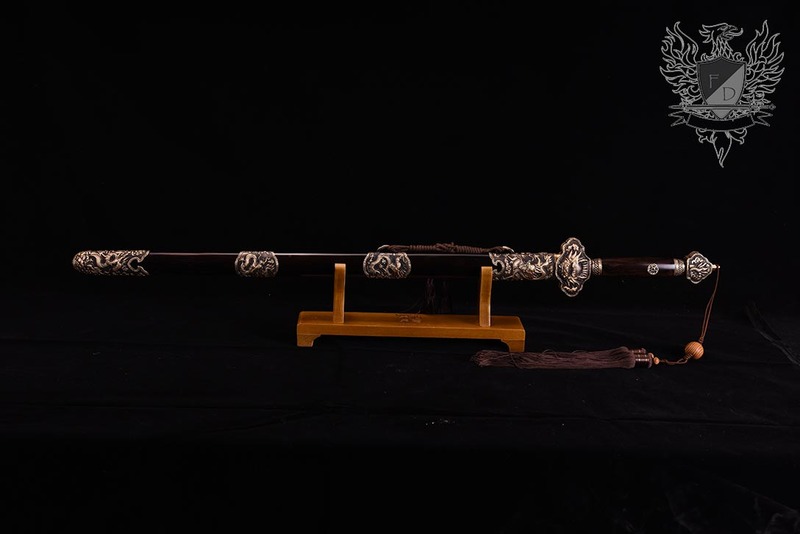 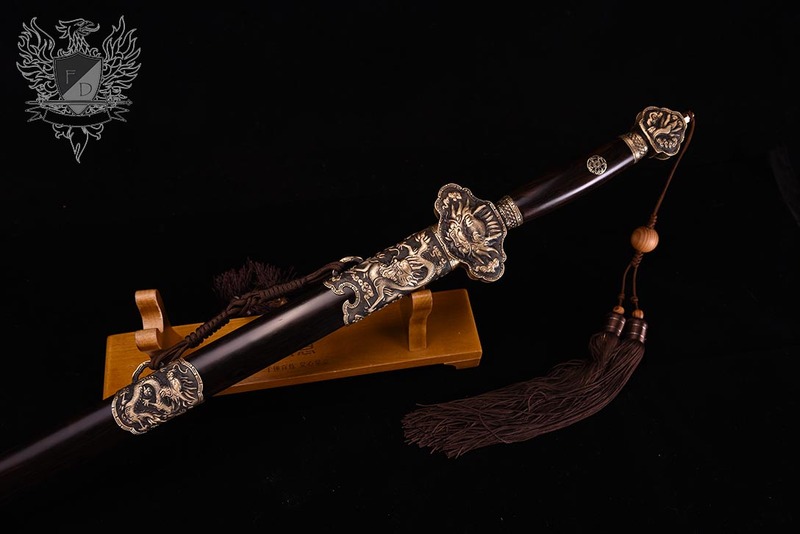 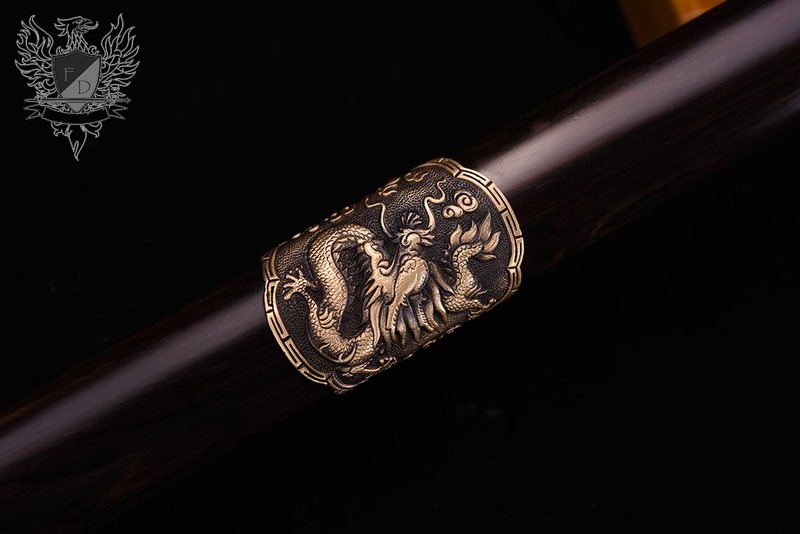 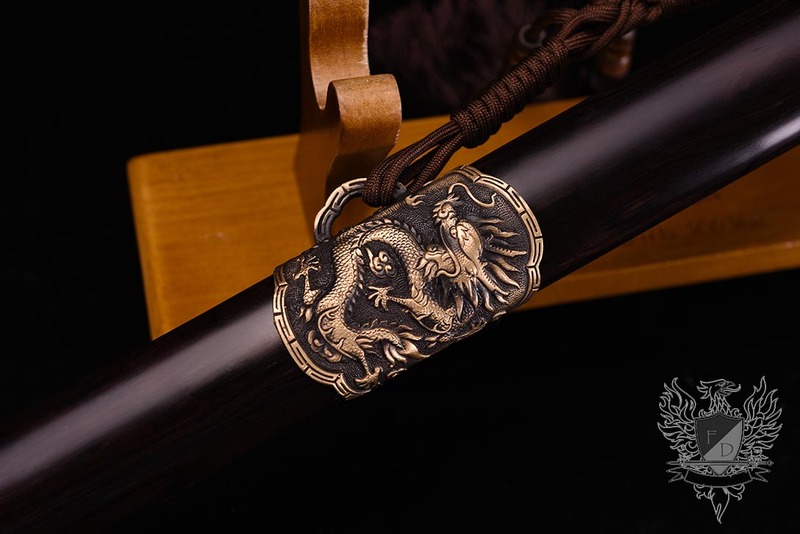 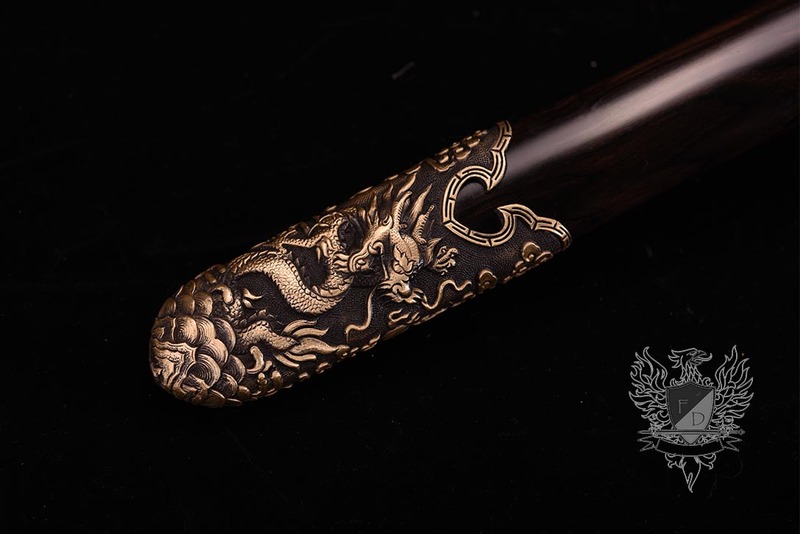 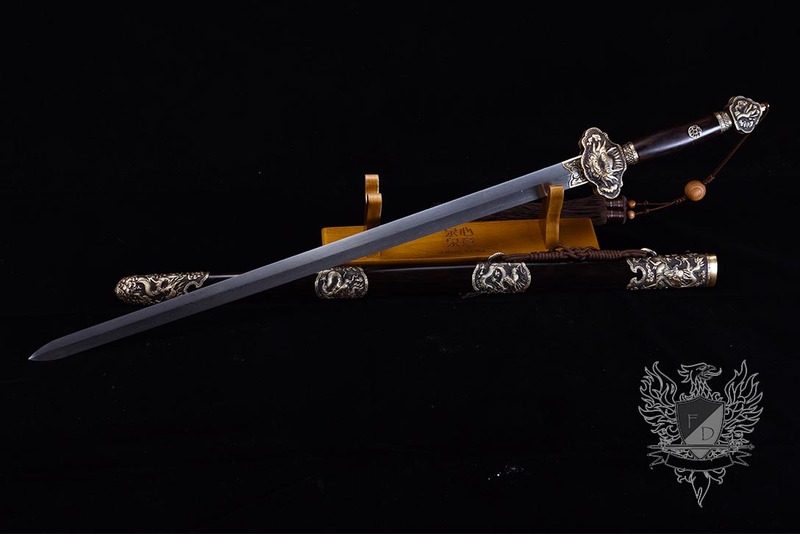 Fittings are dragon themed brass over black ebony wood handle and scabbard, hence the name.